1924 - Silent ~VERNON DENT~ of 3 Stooges fame ~DEVIL~!! 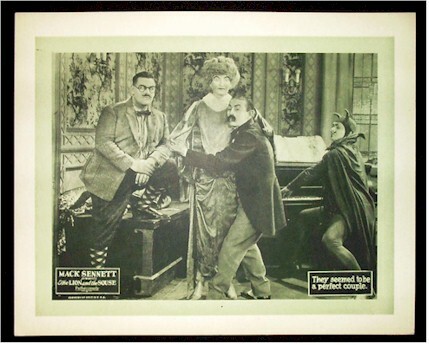 Offered here is an original 1924 lobby card from the Mack Sennett silent comedy short "THE LION AND THE SOUSE" starring VERNON DENT who in the 1930's and 40's played the long-time nemesis of the 3 Stooges! The lobby card measures 11" by 14" and pictures Vernon Dent (far left) watching Sidney Smith dancing with a mannequin as a devil plays the piano!! The BEST card in the set and it's in virtually MINT condition!! Will you ever see one of these again?? It seems like Vernon was in just about every 1930's/40's Stooge episode I have ever seen with few exceptions.!! VERY RARE Lobby Card!